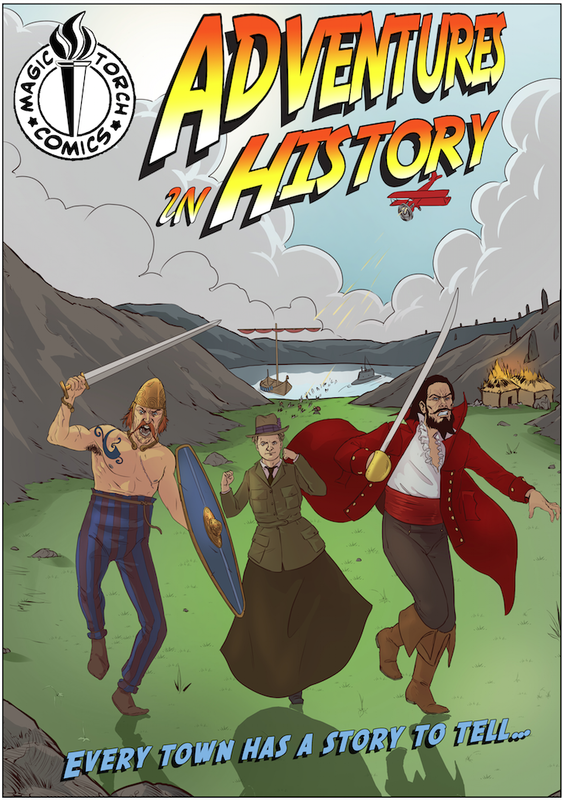 Since 2012, Magic Torch have developed and delivered a range of projects which have used comics and sequential art to improve literacy, explore language, discuss social issues and celebrate history and folklore. Our writers and artists have worked with schools and community groups to help bring stories to life for new audiences. You can download some free examples from those projects. We work with Primary and Secondary classes, delivering bespoke sessions linked to class projects or other creative learning outcomes. 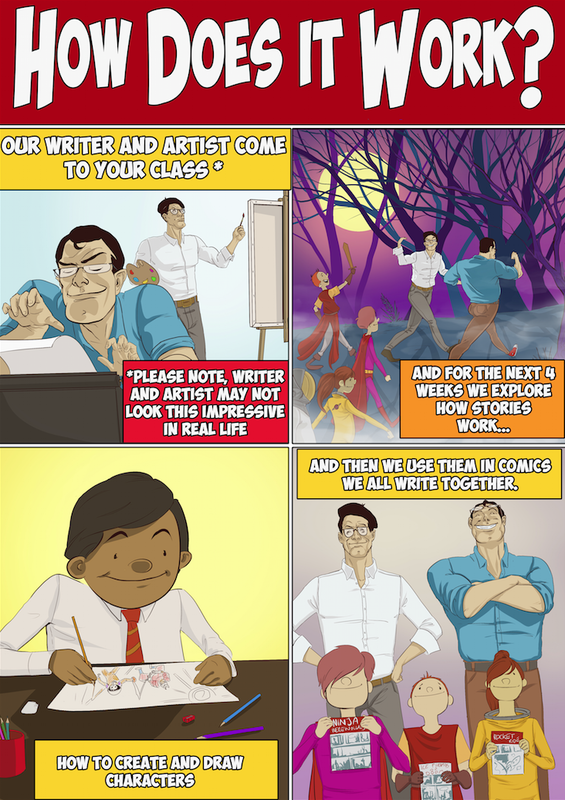 Our comic creation sessions are structured to ensure the whole class can contribute to telling a story, while also allowing each pupil to create their own individual story to share. 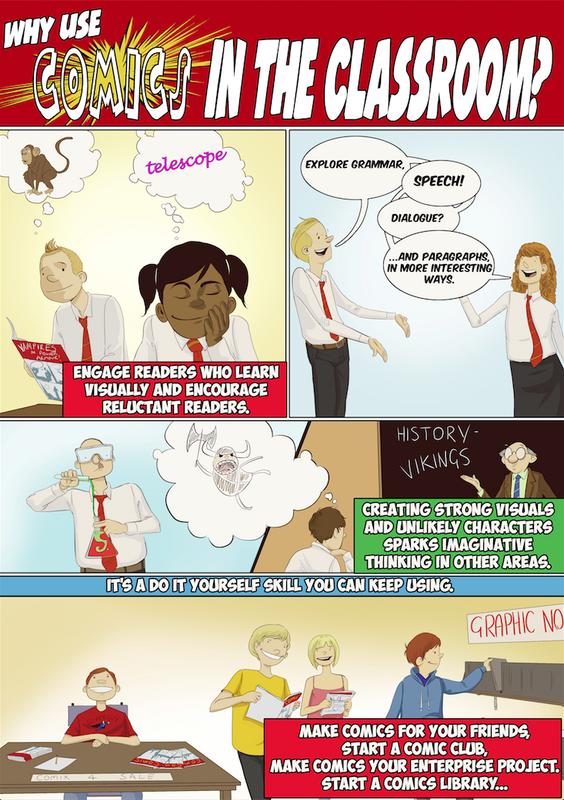 We are also able to deliver CPD sessions for teaching staff on using and creating comics in class. Contact us for workshop types and costs. 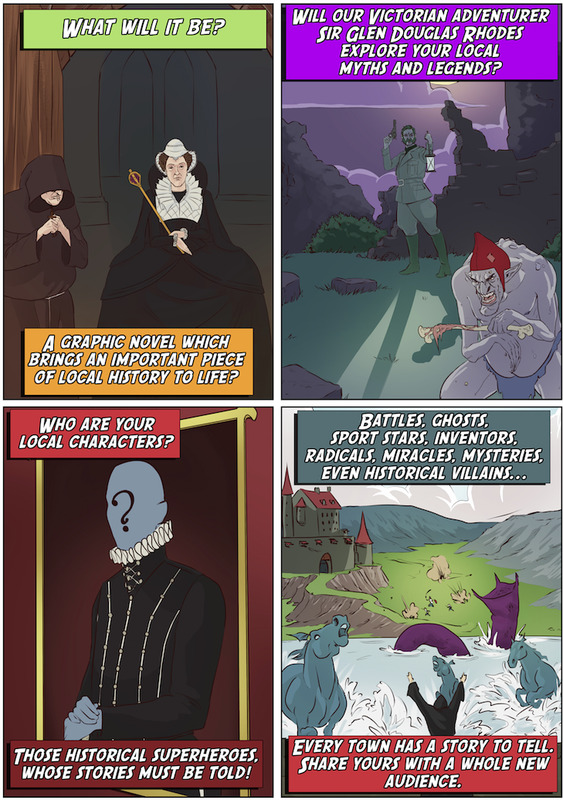 Magic Torch have specialised in creating comics and graphic novels which explore the history and heritage of specific communities - from reinterpreting oral tradition and folktales, to documenting the harsh realities of the First World War. We have many years of experience in research and creative interpretation and believe that heritage is an integral part of genuine community regeneration and cohesion, and that understanding, celebrating and respecting that identity is more important now than ever. Creating comics is a great collaborative way to share that story for new audiences, and also a good way to share new and diverse voices. Projects like these can be commissioned directly and with over twenty years of community work experience, we can also help with suggestions on how to fund, promote and evaluate your project. Each session or larger project is tailored to your needs and interests, and so costs vary accordingly. 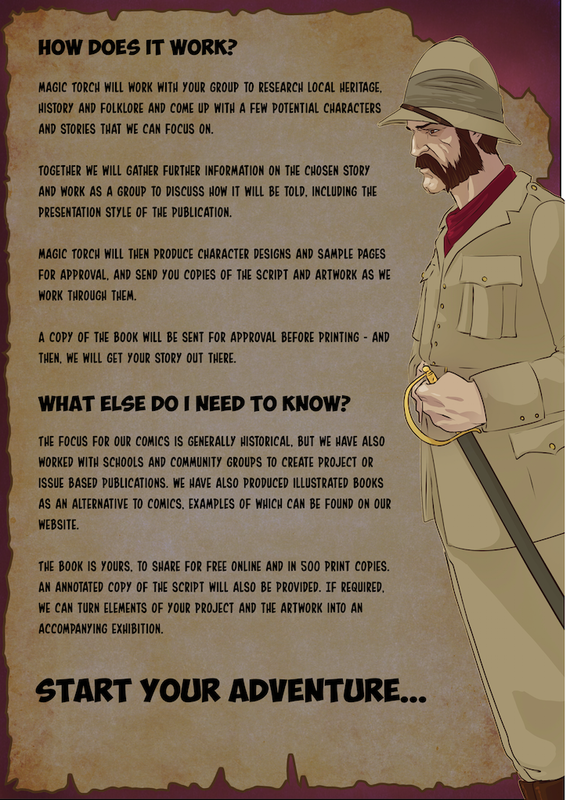 We can work with you on a half day session in a class or community group, or work with your for months to create a 64 page hardcover graphic novel - whatever best fits your project. Magic Torch have more than twenty years experience of working within community and cultural projects and so may also be able to advise on potential funding options for your project if appropriate. You can download all the information above as a pdf. If you have any thoughts or queries, please do not hesitate to contact us.